Child Safety Week is a campaign held annually by the Child Accident Prevention Trust (CAPT). Running from 4-10 June, this campaign aims to raise awareness of the risks of child accidents and how they can be prevented. Many organisations across the UK participate in Child Safety Week, holding events and finding ways of delivering safety messages to parents and families in an imaginative, fun and captivating way. This is a fantastic opportunity for anyone registered with the Scheme to take part and engage with their communities to promote the importance of safety, as well as demonstrating the very best of the construction industry. 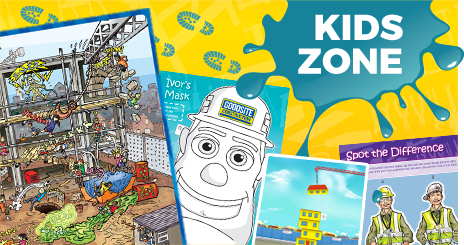 Ivor and Honor Goodsite can be used to assist with any events you may have planned throughout Child Safety Week to help engage with your audience. 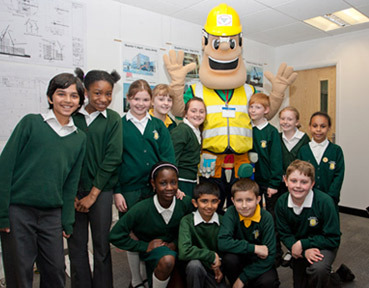 The costume characters are used by contractors to encourage safety on and around construction sites, and promote all that is positive about the UK construction industry. 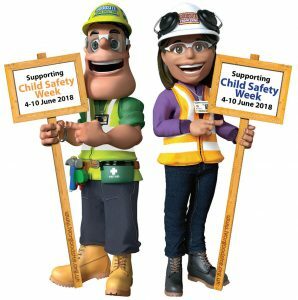 To help registered sites, companies and suppliers promote this campaign, the Scheme is offering a 10% discount on selected products until the end of Child Safety Week on June 10. Designed to display your own message and promote site activities, the Ivor and the new Honor Goodsite promotional signs (0.75m x 1.48m) will be available for £32.40 (+VAT) each. 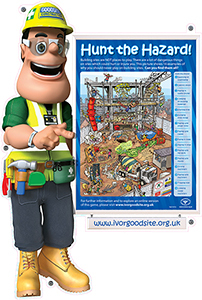 Ivor Goodsite sign displaying a fictional construction site hiding a number of potential dangers for children to find, the ‘Hunt the Hazard’ site sign (1m x 1.48m) will now be available for £50.40 (+VAT). 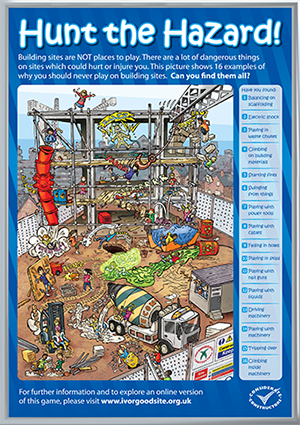 Displaying a fictional construction site hiding a number of potential dangers for children to find, the ‘Hunt the Hazard’ A1 poster (594 x 841mm) will now be available for £27.45 (+VAT). 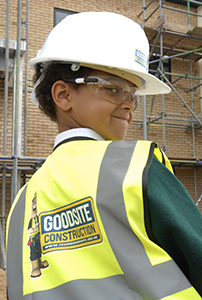 Ivor Goodsite branded children’s PPE consists of a hard hat, made to the EN397 standard for industrial safety helmets, and a hi-visibility vest designed to be worn by children aged 5 – 9 years old. The set can be purchased at the discounted price of £9, or the items can be purchased separately with a hard hat costing £3.60 and a hi- vis jacket costing £5.40. 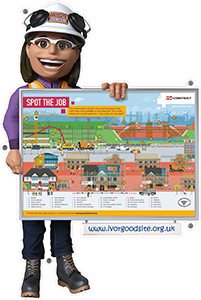 Honor Goodsite sign displaying a ­fictional construction site showing a number of different jobs for the children to spot within the construction industry, the ‘Spot the Job’ site sign (1m x 1.48m) will now be available for £50.40 (+VAT). 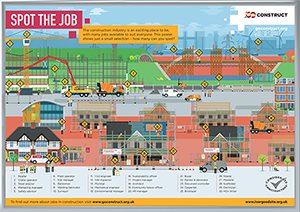 Displaying a ­fictional construction site showing a number of different jobs for the children to spot within the construction industry, the ‘Spot the Job’ A1 poster (841 x 594mm) will now be available for £27.45 (+VAT). A minimum contribution of 4% plus VAT per discounted product sold will be donated to Child Accident Prevention Trust (charity no: 1053549), the UK’s leading charity working to reduce the number of children and young people killed, disabled or seriously injured in accidents. Child Safety Week is CAPT’S (Child Accident Prevention Trust’s) flagship awareness campaign. For more information on Child Safety Week, click here. To find out how your company can support CAPT’s life-saving work, click here.